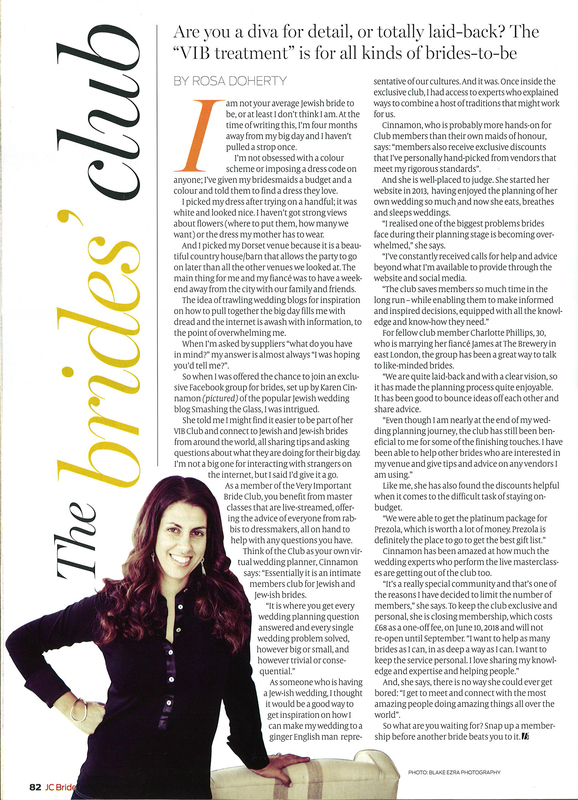 See the full article and review of Brides Club by journalist member, Rosa D here. “I’m really enjoying being a part of the Brides Club, and the best part has been how approachable you make the daunting amount of wedding information out there easier by breaking it up. Caroline B – UK Bride married in October 2018. “Thanks to Brides Club all (yes ALL!) of my issues with wedding planning have been solved. I can't imagine planning my wedding without it. Before joining Brides Club I felt overwhelmed by a myriad of ideas and information overload, but once I joined, my worries and concerns went away as if by magic. Being helped directly by Karen is absolutely priceless. But Brides Club is way more than that… all the video guides, the resources, and the wonderful brides-to-be community changed the course of my wedding planning entirely. “I can’t imagine what my wedding would have looked like without Brides Club. Simply put, being part of the club made our wedding happen the way we wanted it to. Karen is so non-judgmental and just made me feel so relaxed. She turned my feeling of overwhelm into excitement, and provided a solution for every problem plus so many creative ideas I had never even thought of before. Karen’s positivity and outside-the-box thinking got me on the right track and helped me move forward from engagement to planning a wedding.